Mike Torres teamed up with Alex Broskow to put together his newest VOD titled Seconds. “One helping of NYC wasn’t enough. Alex Broskow comes back for seconds, and teams up with Mike Torres to cruise the streets of NYC like no one else can.” – Mike Torres. The world premiere of the Dead Wheels film, Champagne, is taking place this upcoming weekend in NYC! Word is there will be special guests in attendance so make sure to check out all the details below and get your tickets! Pre-sale for tickets are here. Keep up to date with the premiere details on Facebook here. “Alex Broskow, Chris Farmer, David Sizemore, Shawn Engler & Adam Johnson traveled to New York City, Detroit, Atlanta, Seattle, Portland,Los Angeles, Albuquerque, Phoenix, Dallas and Kansas City to bring you Champagne” – Dead Wheels. Train Directions: C or E train to West 23rd / 1 train to 23rd Street. Valo V chronicles three years in the ongoing history of rollerblading, from backyard bowls in Mexico to the architectural wonderland of Barcelona and along thousands of stateside miles to spare. V showcases the pioneering skaters of the Valo Brand who continue to revolutionize our sport, a tradition of Valo since it was founded in 2003. Celebrate a decade of Valo with Jon Julio, Alex Broskow, Erik Bailey, Brandon Smith, Victor Arias, Soichiro Kanashima, Cossimo Tassone, Gav Drumm, Ross Kuhn, Dean Coward, and the rest of the Valo family with V, a film by Ivan Narez. First and foremost we’d like to let everyone know that Fabio Enes is doing alright after his injury during yesterday’s competition. He fractured his skull and we wish him a speedy recovery. Due to police shutting down the competition before it was officially over, winners had to be chosen solely by the judges and were announced during the after party. See the results below. 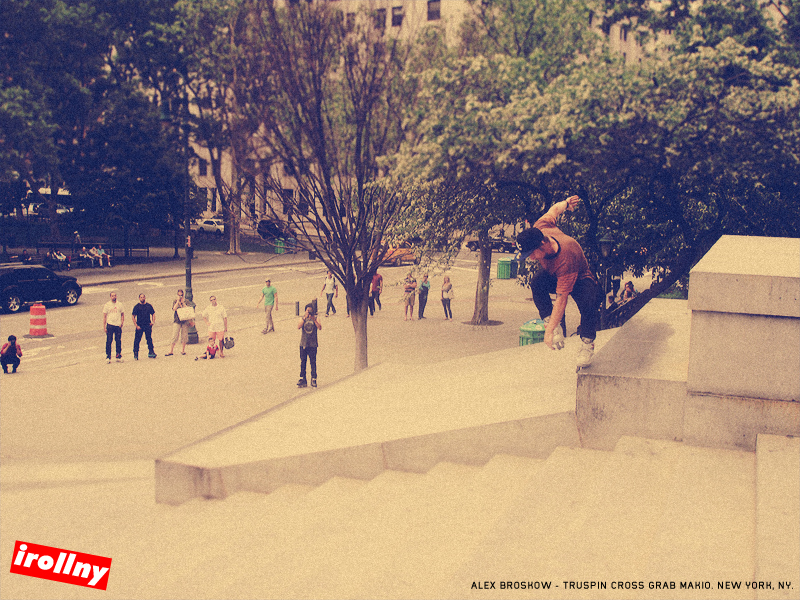 NYC Street Invitational Results: Alex Broskow Takes 1st Place! The NYC Street Invitational went down today and a ton of hammers and tech tricks have been added to NYC’s history. A big thank you goes out to Billy O’Neill, Daniel Kinney, the Barnel Heights Collective, Create Originals and all of the other sponsors for making today happen. From all of the top rated pros that were in attendance today only one could come out on top and take the majority of the $10,000 prize money. Alex Broskow stepped up to the challenge and took first as CJ Wellsmore and David Sizemore came in a close second and third place. Thanks to photographer Hillel Dov for capturing each competitors big tricks including Broskow’s 540 wallride, CJ Wellsmore’s royale transfer savannah, and Sizemore’s 360 acid.